This feature allows site managers to create and update the data policy of the community. Regular users can provide or withdraw consent to each active revision of the data policy. The consent history will also be recorded in the system. Site managers can see who has provided consent to each data policy revision. Go to ' User consent overview' via the dashboard. 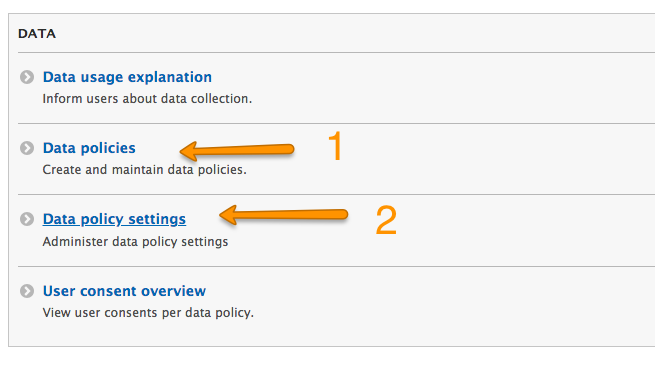 The data policy consent can be made mandatory or optional for your users. When made mandatory, regular users will need to provide consent to the data policy in order to sign up for the platform and to continue using the platform after a new revision of the data policy has been created. When made optional, regular users will be notified about data policy and each new revision, but they do not need to provide consent before continuing to use the platform. Site managers can create, update data policy and configure whether data policy consent is mandatory via the site manager dashboard. 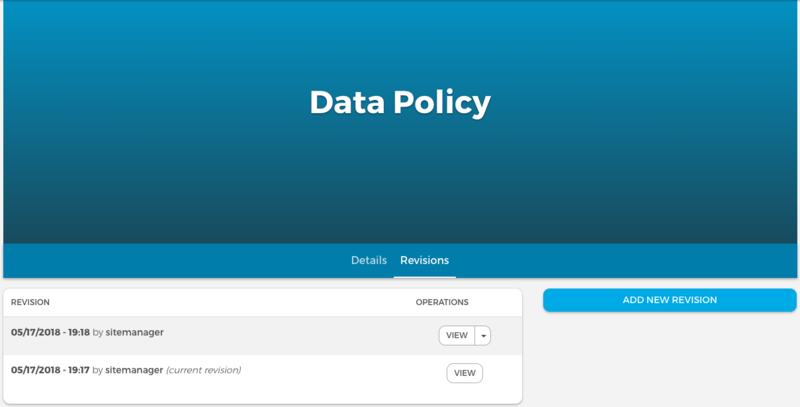 Please note that the data policy consent feature will be visible to regular users only when a data policy has been created.